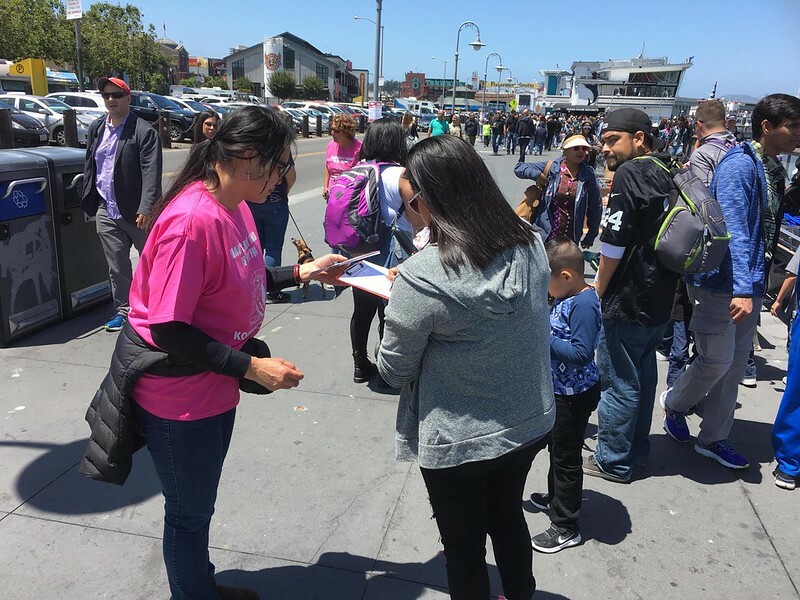 A big thank you goes out to the volunteers who came out to give a voice to the dogs in the Korean dog meat trade!!! 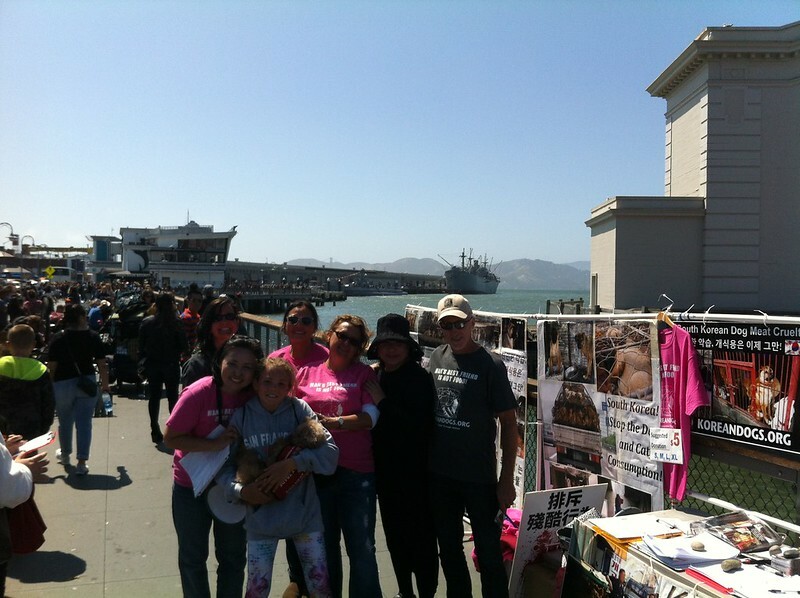 Your compassion and dedication are truly appreciated – Don, Kit, Heather and her daughter Ruby, Willow (rescued by SaveKoreanDogs.org), Nancy, Andrea, Angela, Riley (Angela’s dog) and myself. 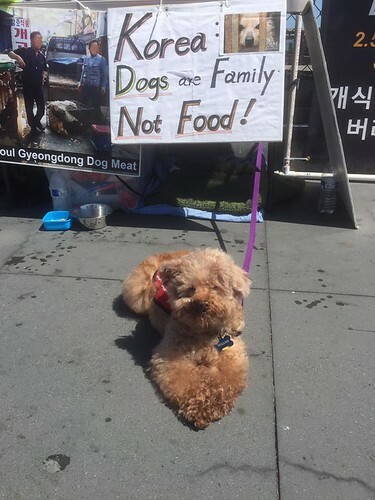 It was a nice, breezy day and we all worked very hard to advocate for the Korean dogs. 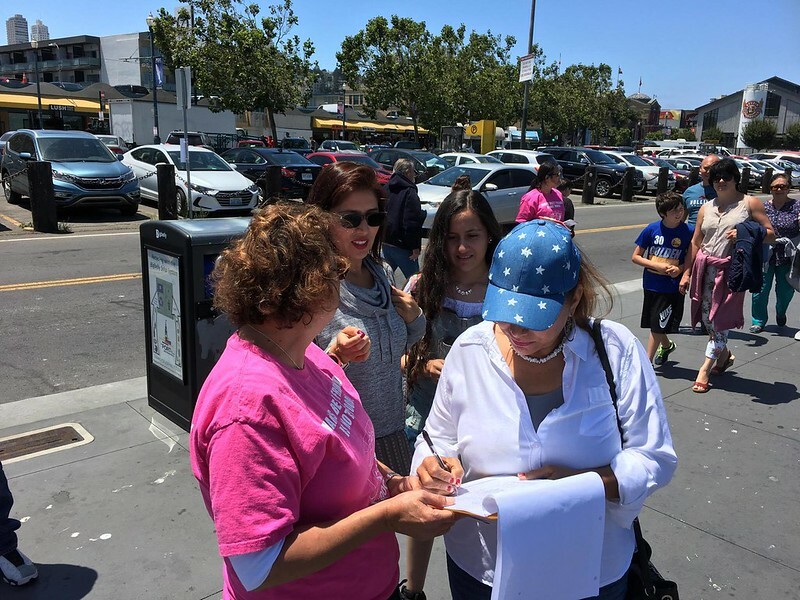 Nancy, who was volunteering with us for the first time, did an amazing job which included collecting so many petition signatures. She also stepped in when I was being yelled at by several Koreans and told them to leave me alone. :O) Thank you, Nancy. Hope to see you again at our next event. 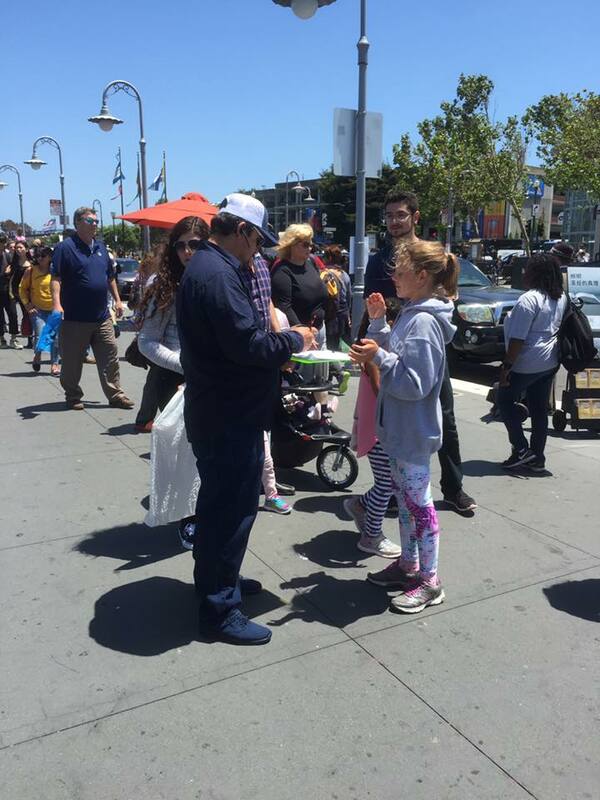 There was a Korean- American man (looks to be in his 20s) harassing me while I was on the megaphone. I took a video of him. As he didn’t stop his harassment, I started dialing 911 (emergency help line in the U.S.) and he finally went away on his bike. A few minutes later, he returned to his seat (next to us), but did not continue his harassing behavior. 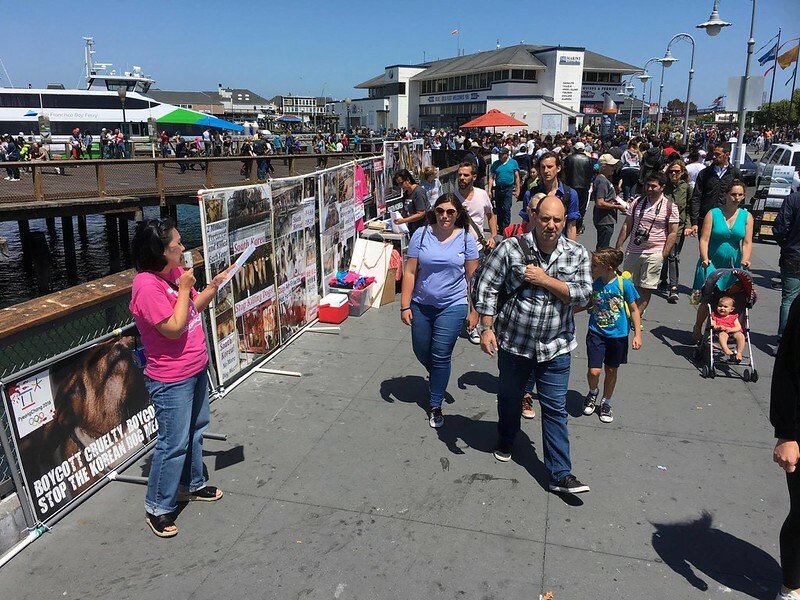 We get harassed often at the Fisherman’s Wharf, but we try to persevere and not let that bother us because what the Korean dogs go through, is a million times worse. 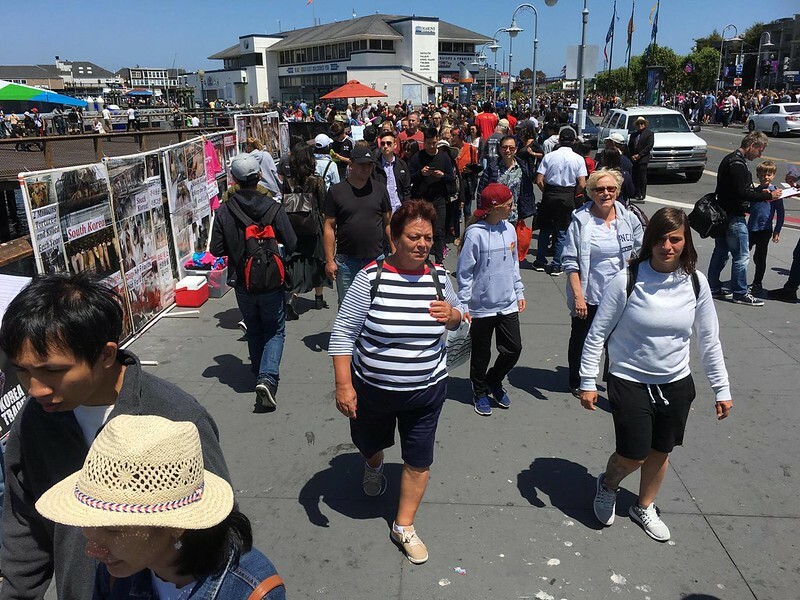 Overall, it was another great day at the famous San Francisco Fisherman’s Wharf, with many tourists and visitors from all over the world, many of whom were from South Korea. 1,033 people had gladly signed our petition because they wanted to help these poor dogs. 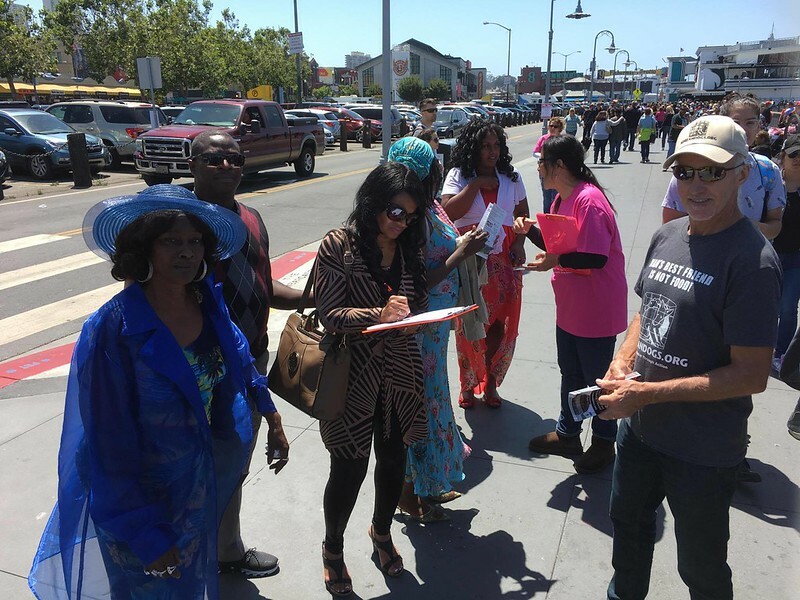 Thank you to all the petition signers!! 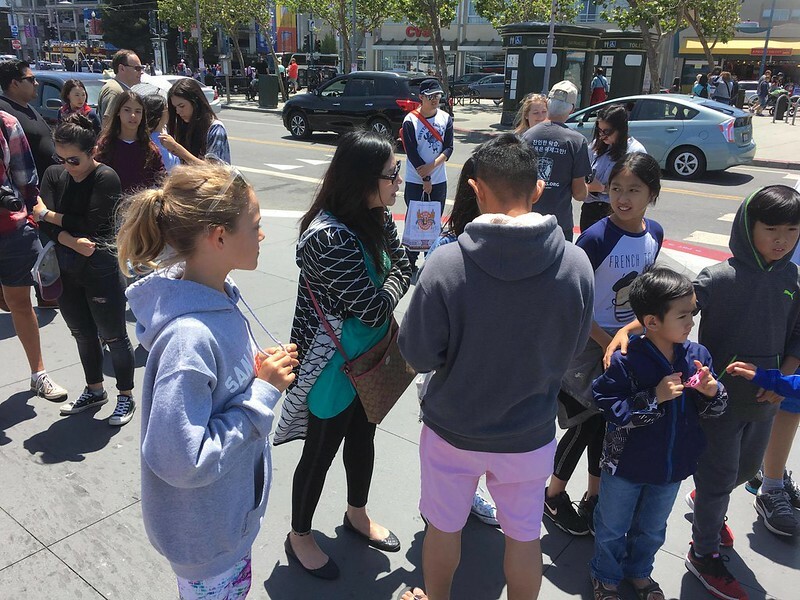 Tens of thousands of people saw our event and display, and for the first time, learned about the horrific cruelty taking place in South Korea. Every leaflet, every conversation helps. So, it really shows that everyone can do a little something to bring about change. What will you do today?